Concourse is distributed as a single concourse binary, making it easy to run just about anywhere, especially with Docker. Concourse will be running at localhost:8080. You can log in with the username/password as test/test. Then, head to Hello World to kick the tires! Concourse is an open-source continuous thing-doer. Built on the simple mechanics of resources, tasks, and jobs, Concourse presents a general approach to automation that makes it great for CI/CD. You can think of a pipeline as a distributed, higher-level, continuously-running Makefile. Each entry under resources is a dependency, and each entry under jobs describes a plan to run when the job is triggered (either manually or by a get step). Jobs can depend on resources that have passed through prior jobs. The resulting sequence of jobs and resources is a dependency graph that continuously pushes your project forward, from source code to production. Your pipeline configuration is then visualized in the web UI, taking only one click to get from a red (failed) box to seeing why it failed. The visualization also provides a "gut check" feedback loop - if it looks wrong, it probably is wrong. $ git commit -m "initial pipeline"
All administration is done using the fly CLI. The fly set-pipeline command pushes the config up to Concourse. Once it looks good, you can then check the file in to source control. This makes it easy to recover if your Concourse server burns down. Everything runs in containers, ensuring a clean environment on every run. Each task specifies its own image, giving it full control over its dependencies, rather than managing them on your workers. The fly intercept command will pop you right into one of your build's containers, which can be useful for debugging. The fly execute command executes a task as a one-off build, with your local changes. This will run your code in exactly the same way it would run in your pipeline, without you having to repeatedly push broken commits until it works. Achieve the fabled green build #1! When a job fails, you can also use fly execute with -j flag to run with the same inputs as the failed job. You can then replace an input with your local changes with -i to test if your fix is valid. grammar: "dang! deploy it now!" Concourse does not have a complex plugin system. Instead, it has a single strong abstraction. The resources section of a pipeline lists Resources, which are abstract external locations where your pipeline will monitor for changes, fetch bits from, and push bits to. For example, a resource with type git refers to a git repository, which will be cloned in a get step and pushed to in a put step. Behind the scenes, Concourse will continuously run git fetch to look for new commits that jobs may want to trigger on. At its core, though, Concourse knows nothing about Git. 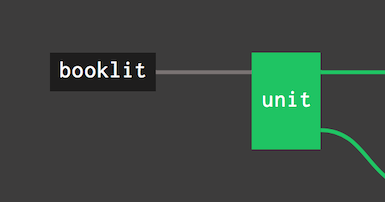 It comes with a git resource type out of the box, but you could just as easily bring your own into your pipeline. Resource types are implemented as container images containing scripts - using the docker-image resource type, they can be fetched from a Docker registry.